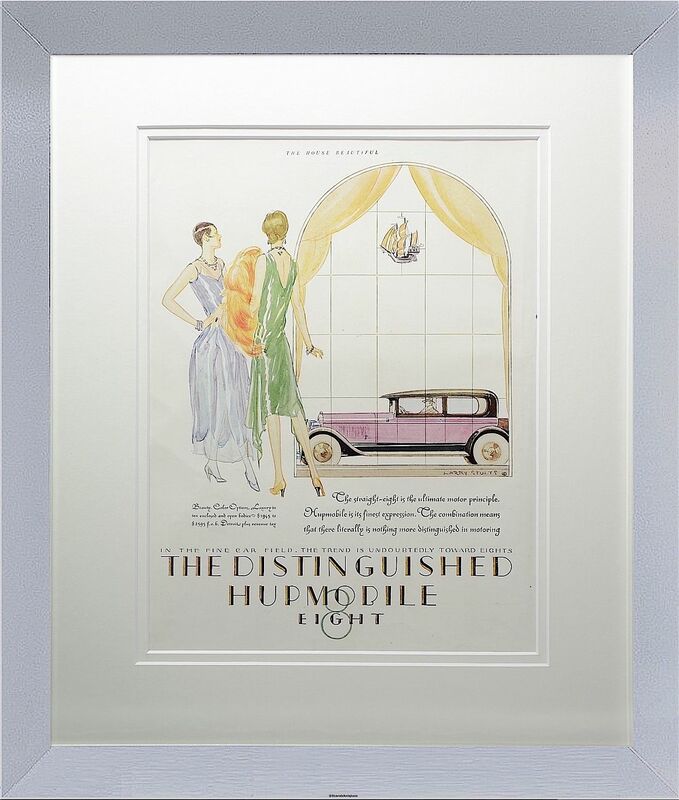 Another wonderful c1926/27 original magazine advertisement by Larry Stults featuring the Hupmobile 8 motor vehicle. This one depicts 2 woman in flapper dresses standing looking through a window at a pink Hupmobile. We have had this framed with a double cream mount and a chrome frame.